Administrators trying to find find a buyer for an Aberdeen paper mill which employs hundreds of people say there have been a number of inquiries. 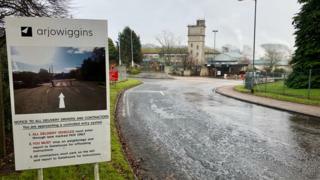 The future for nearly 500 workers the Arjowiggins Stoneywood plant was plunged into doubt last month ago after its parent company failed to sell it. FRP Advisory said there had been several inquiries for the Creative Papers division of Arjowiggins Group. This includes the Stoneywood paper mill. A spokesman said efforts were continuing to market the business for sale, and to ensure the business was trading as efficiently as possible.